Every now and then, amid the clutter of social media, a great picture or phrase pops up. 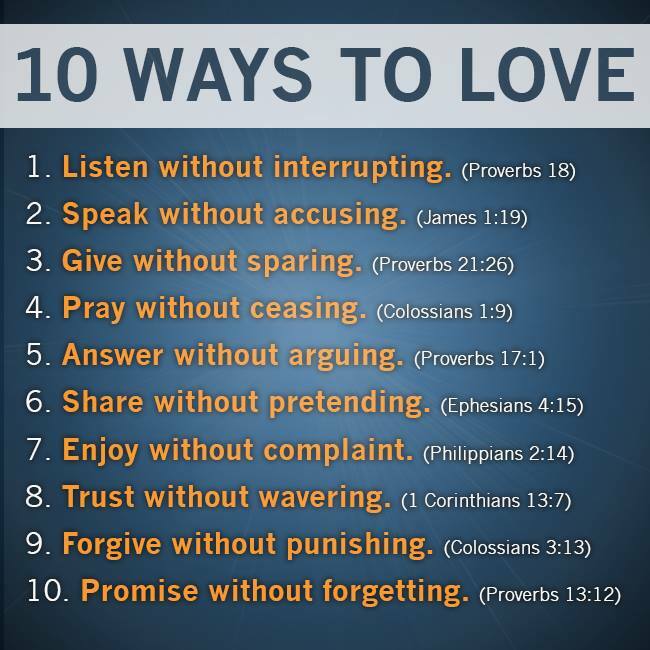 This week, we want to share one of those pictures and encourage you to practice “10 ways to love”! We apologize that we do not have the original source of this picture. This is so simple and sweet, yet so hard to put into practice.